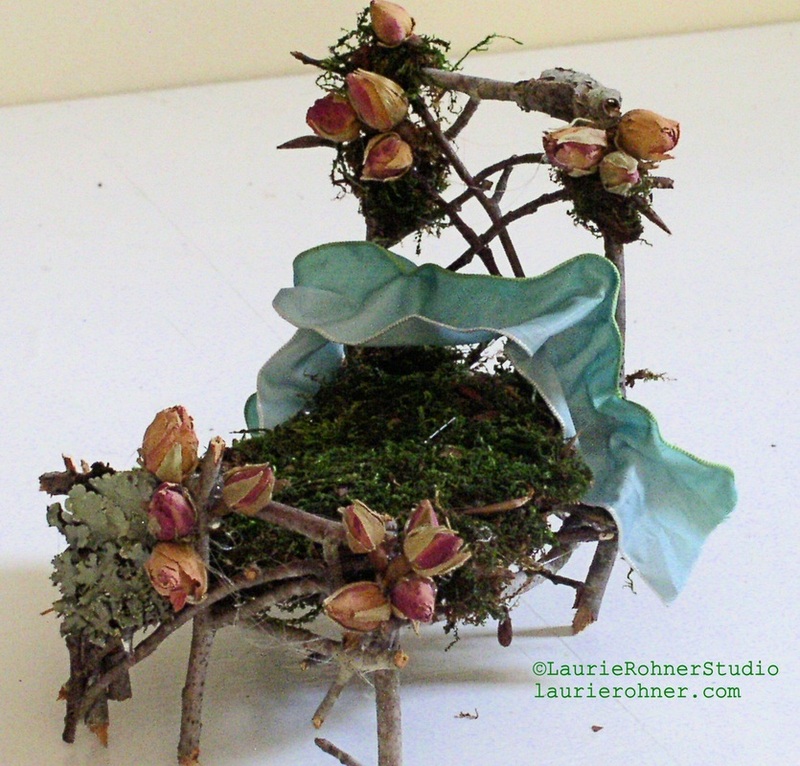 One of a kind custom sculpted woodland fairy houses covered with moss furnished with fairy furniture are custom handmade fairy sculptures by Laurie Rohner for collectors of fairy art. 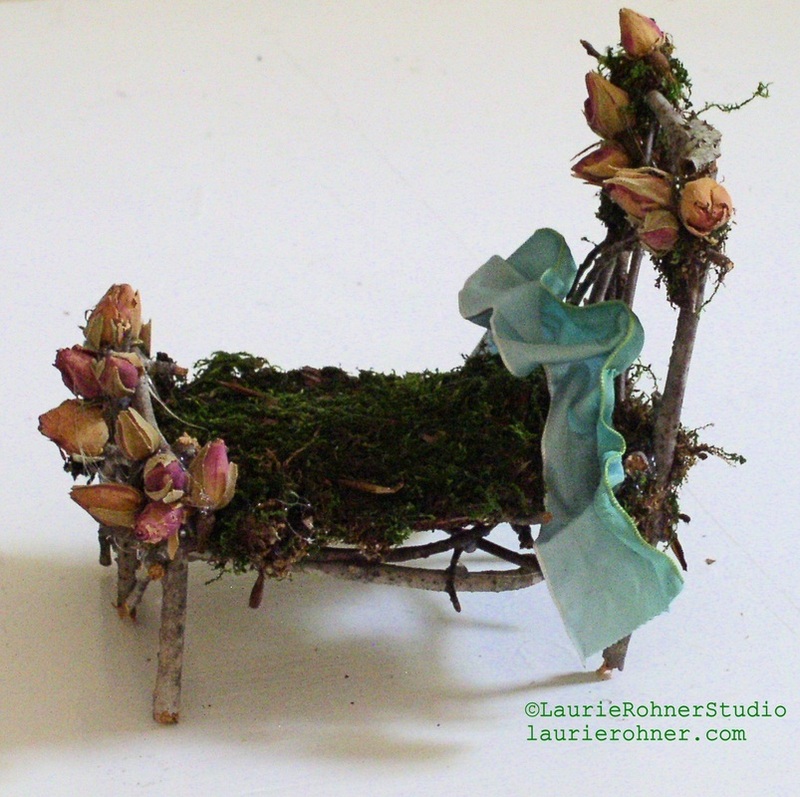 This woodland fairy rose bed furniture vignette setting is for woodland fairy enthusiast and fairy collectors alike. Handmade whimsical magical delicate sweet original fun unique and very one of a kind describes this woodland fairy bed. 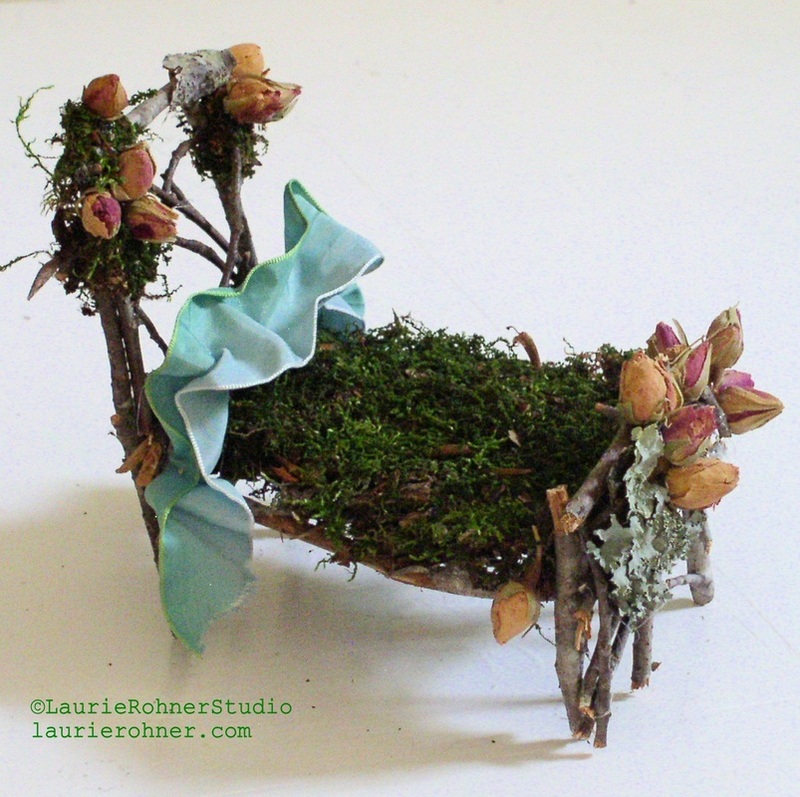 Made entirely from found nature items I glued the twigs together forming this whimsical magical fairy bed. Moss and lichen is glued into place and rose buds accent the headboard and foot board while a shimmery french ribbon forms the pillow. 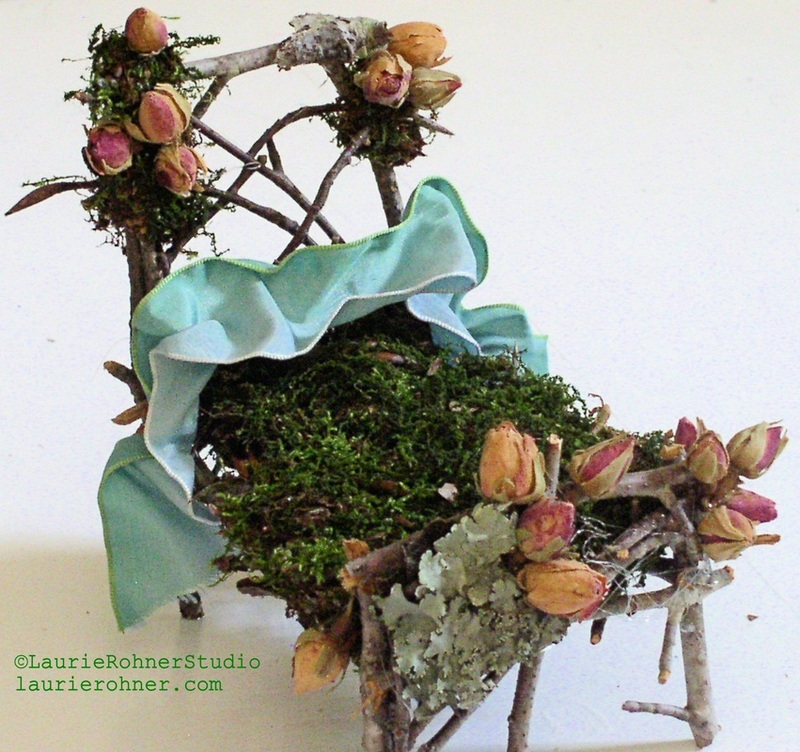 This is a delicate piece of fairy furniture for the magical fairies in your life. Not recommended for children only the young at heart. Everything is hand glued into place on the woodland fairy furniture. Handmade original collectors fairy piece. 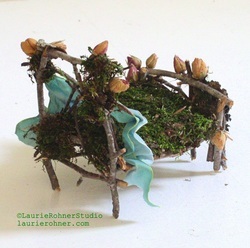 I include your fairy name on a special handwritten card with each woodland fairy house. A thank you from the fairies along with their blessings. Measures: 5.5" x 6" x 6"
I wrap each house carefully with tissue on the inside of the houses and then the entire house is wrapped in brown paper. But be careful unwrapping these beautiful sculpted work of art. Take care in unwrapping. These are my original designs and I hand craft each piece for my woodland fairy houses..